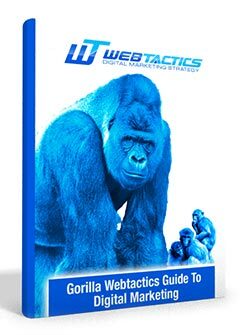 Boost Social Sales Calls NOW with strategies from Gorilla Webtactics Guide To Digital Marketing. Like most Plumbing and HVAC professionals, you are probably scratching your head to figure out whether social media is a feel-good strategy or one that actually generates sales. In this guide we’ll walk you through walk you through an entire social media campaign step-by-step that shows results. You’ll never guess again what to do or whether that investment paid off—you’ll have the stats (and the sales) to prove it! Download this FREE guide now and start getting more Plumbing & HVAC Sales Calls today!